Finally! We’ve just finished up the first batch (hopefully of many to come) of REPLACEMENT X and Y axis leadnuts for your X2 Mini-Mill. If you’re just ever-so-frustrated with backlash on your mill, this is the easiest and least expensive way to reduce backlash to a manageable level. In fact, just as you have seen on our ACME kits, we’re able to get backlash to just about a few thou without breaking a sweat. 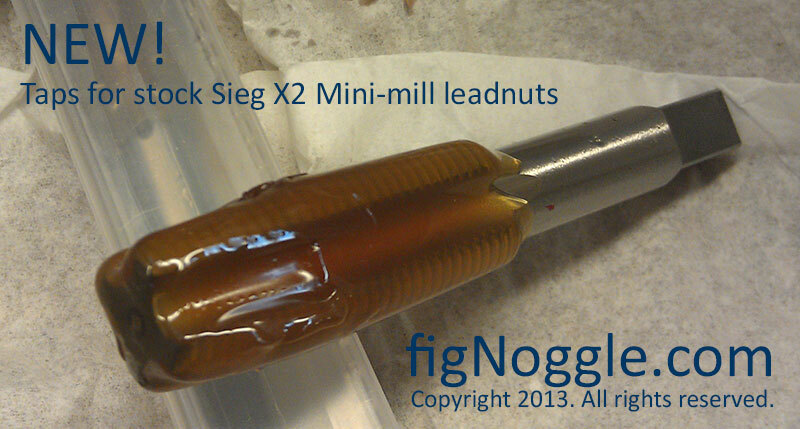 Don’t even bother messing with your stock brass leadnuts. Seriously. We’ve tried with marginal results (still better than stock, of course), but our replacement leadnuts made of Acetal/Delrin will be the easiest way to go to permanently reduce backlash on your X2 Mini-Mill. And, if you start noticing backlash, just adjust it out using the set screws. Easy! Of all the kits we offer, we think this is the best bang for the buck! For a limited time, we’re offering a $5.00 discount off these kits. We’ll ship it USPS Priority Mail and have plenty in stock at present. We have been busy with shop reorganization and such so, we’re still slow to get the old workshop back online. However… we are now launching a much-anticipated product for you X2 mini-mill owners who are tired of backlash and don’t want to upgrade to our ACME leadscrew kit. 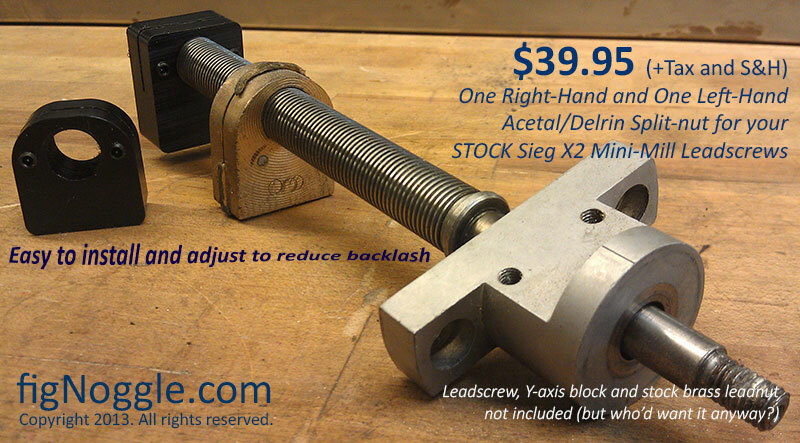 We are now selling replacement leadnuts made of Acetal/Delrin with the same split-nut design in our popular ACME leadnuts that’ll reduce backlash of your STOCK leadscrew to less than a few thousandths. Stay tuned for pricing – we just got the tooling in and are running the first batch now.